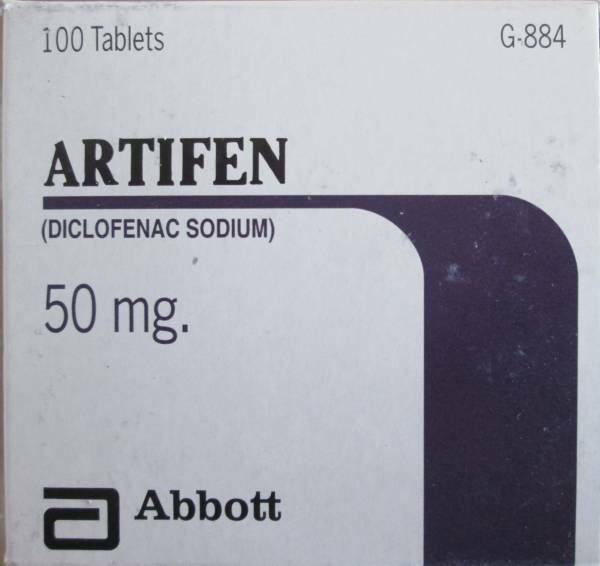 ARTIFEN is produced by Abbott, which contains Diclofenac Sodium. 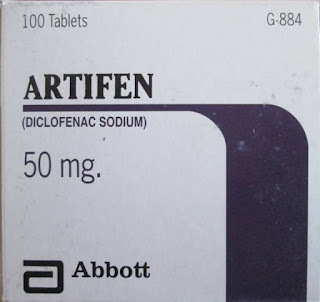 ARTIFEN is best pain reliever for arthritis, which reduces any kind of body pain within few minutes. It is anti-inflammatory anti-rheumatic, analgesic and antipyretic agent. It is rapidly absorbed into plasma and reduces pain. Patients who are facing muscle pain, arthritis, teeth pain, cut pain, joint pain, fracture pain or it can be used to reduce inflammation. Side Effects: Some common side effects include gastrointestinal disturbance, headache, skin rashes and very rarely peptic ulcer. Note: High blood pressure (BP) patients should not take this medicine; instead they can use Ostefen. sir kindly can you tell me Any pain killer medicine which is safe for hypetensive +diabetic patient .